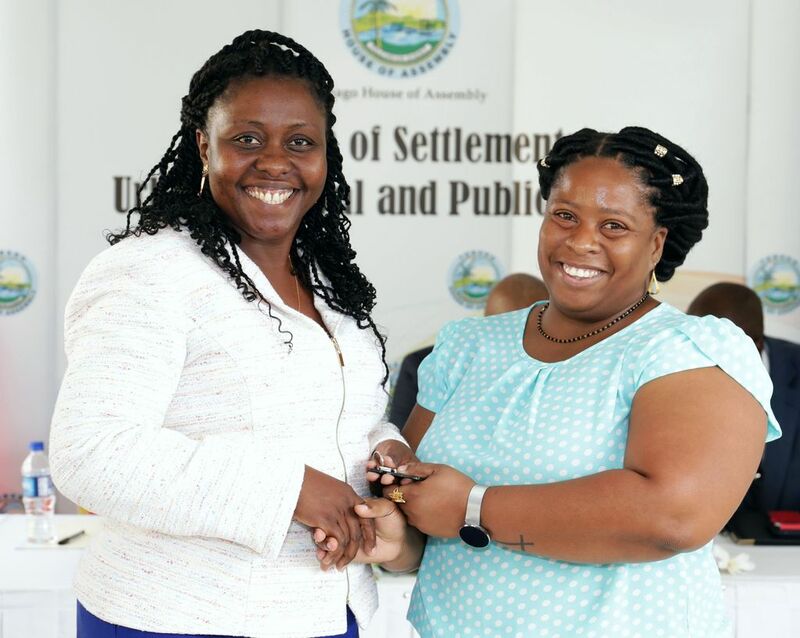 Area representative, Assemblyman Marisha Osmond, left, presents keys to townhouse recipient Renee Sampson. Secretary of Settlements, Urban Renewal and Public Utilities Clarence Jacob, left, and recipient Sherwin Williams. 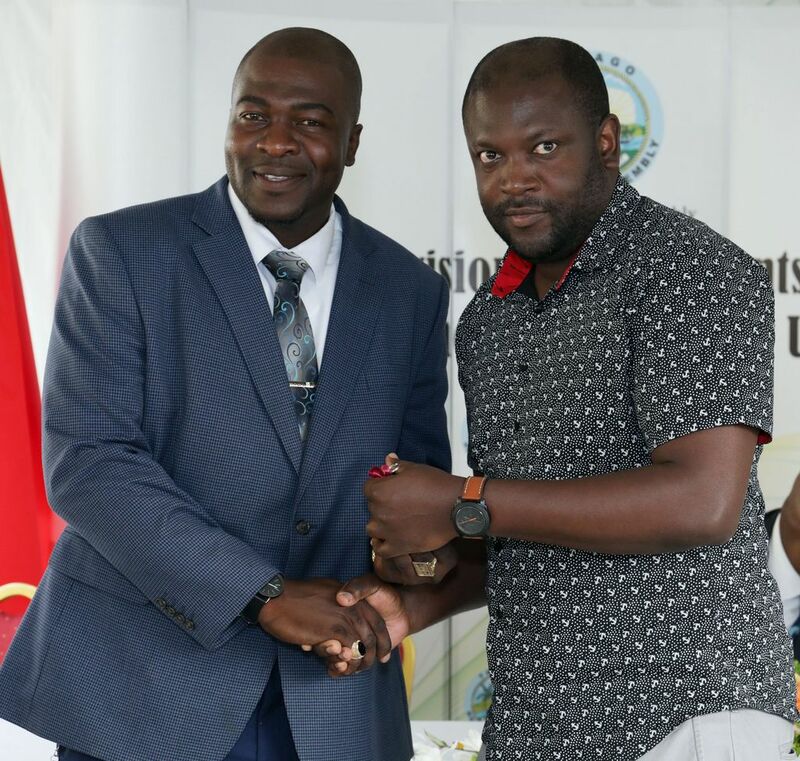 Zaria Baird-St Cyr, right, collects her keys from Chief Secretary Kelvin Charles. 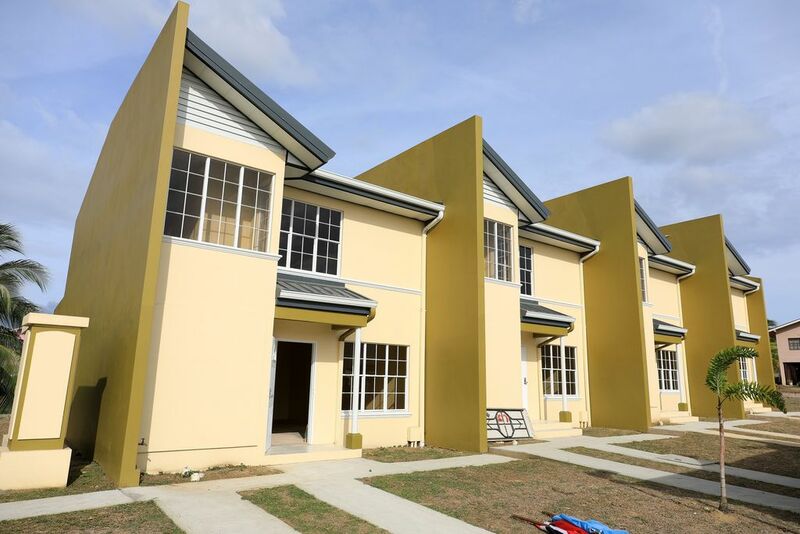 Residents after receiving the keys to their new homes. 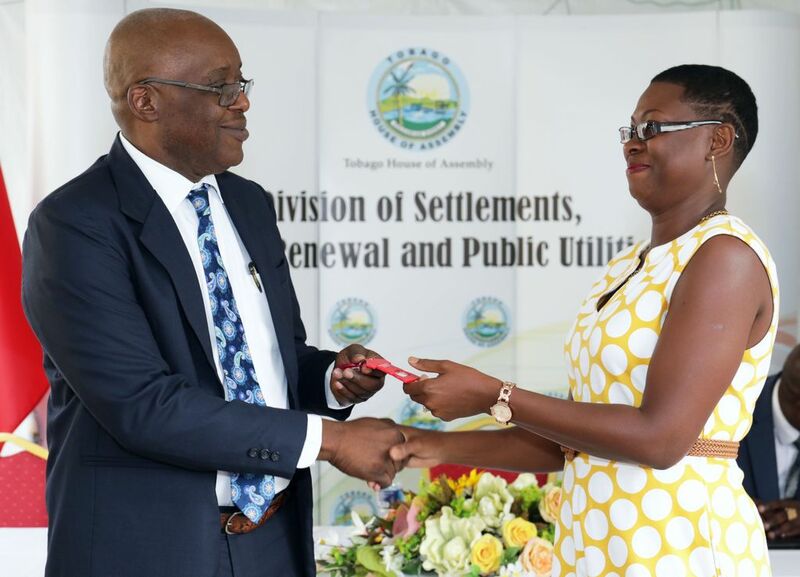 Also in photo are Chief Secretary Kelvin Charles, centre, to his right Secretary of Settlements, Urban Renewal and Public Utilities Clarence Jacob and Settlements Division Administrator Cherry-Ann Edwards-Louis, and second from left, area representative for Plymouth/Golden Lane, Marisha Osmond. An external view of the new townhouses at Adventure Housing Development, Plymouth. 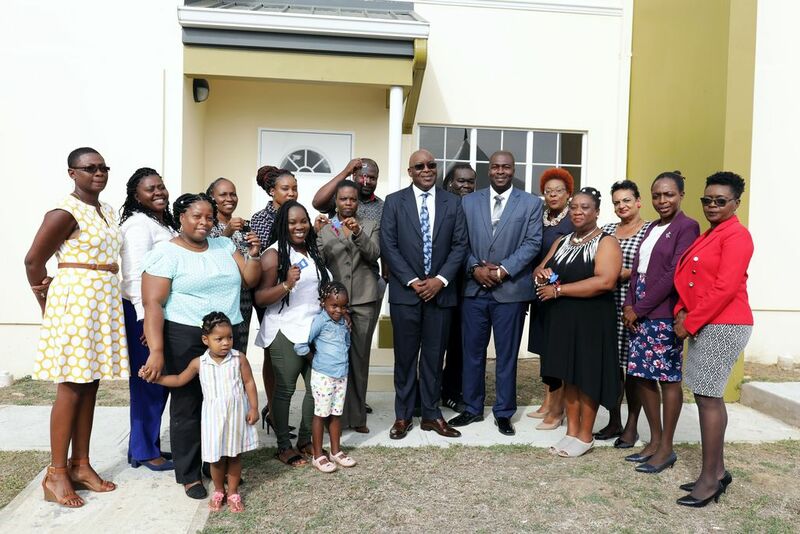 Townhouses at Adventure Housing Development in Plymouth were distributed to successful housing applicants yesterday (April 8, 2019) during a key distribution ceremony.